None of the ‘Maniacs seem to have written anything on how old this things is, which is surprising given its price tag (about €170 or so), but both WhiskyAuction and Reference-Rhum say’s it’s a ten year old; the label (below) says its eleven so we’ll go with the older one. Another odd thing is the strength – my sample said 45%, and various online shops quote it as being variously 45.4%, 46.2% or 42.7% – so after some digging around it seems that 2004 was a particularly good year and several single barrel issues were made, so pay attention to which one you’re getting. Mine was evidently the 45.4% iteration made for LMDW in Paris and I accept the labelling on my sample was a misprint. There’s already been enough written in these pages and others about Neisson so let’s move on without further ado because my sample is evaporating and I don’t want to waste any. Nose – Deep and controlled without sharpness, very tasty; pears, papaya, green apples; develops gradually with herbs and a sort of vegetable soup with just a hint of soy. In the background there’s some oak and aromatic pipe tobacco. Palate – A fragrant bowl of hot soup, really quite amazing. Some floral notes, some fruitiness of tart apples and a potpourri room freshener, far from unpleasant. Tart apples, fleshy fruits, lemon zest, maggi cubes, brine and olives, more smoke, chocolate, ginger…how the rhum navigates its way among all these flavours, where an excess of any one could sink the whole thing, is really quite extraordinary. Finish – Very pleasant, medium long, just north of light. Floral and fruity, guavas and pears mostly, plus some oakiness held way back. Here sweetness and vanilla come forward which isn’t entirely to my liking…but overall it closes off really well. 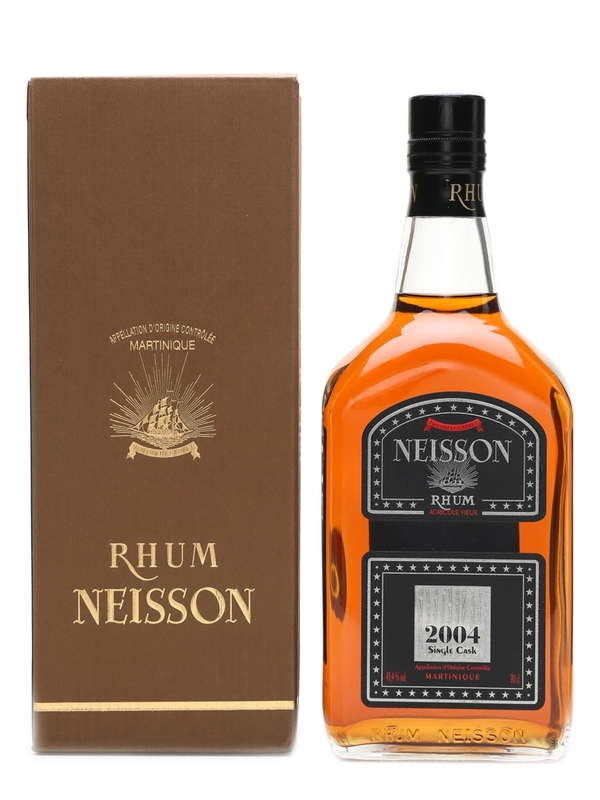 Thoughts – A really impressive agricole which demonstrates again why Neisson is one of the better rhum producers from Martinique. There’s just so much going on here that it demands some patience and leisurely sipping to appreciate fully. Mixing this into a cocktail might be a punishable offense in some countries. 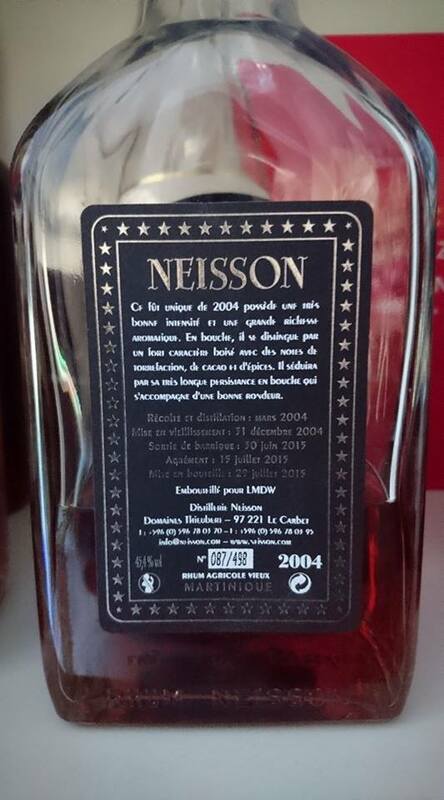 Other Rumaniacs reviews of the Neisson 2004 can be found on the website.